Coach Aaron Rogers began playing volleyball at the age of 15 in West Texas. He won the men's first team all state middle hitter award at the age of 17. He played with many different semi-professional indoor teams throughout the years and was known as one of the most explosive middle hitters in the southern United States for many years. Beach volleyball was his true love at an early age and he moved to Dallas in 1999 to train with several of the nation's top professional beach athletes. Coach Aaron was a staple and top player on the Texas Pro/Open circuit in the early 200's. He participated in many AVP pro beach events throughout the years and finished ranked in the top 30 teams nationally in most of the AVP events he entered. 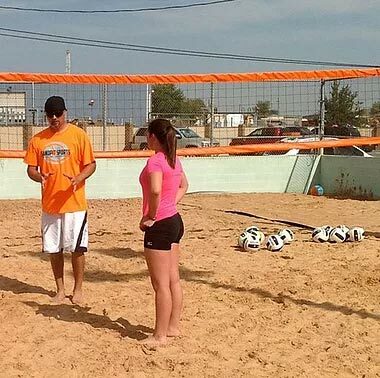 Aaron has coached club volleyball for over 10 years and and at 210 Beach the past 3 seasons as a member of the Pro Staff.